New Delhi, March 22 (IANS) Want to create your own music? 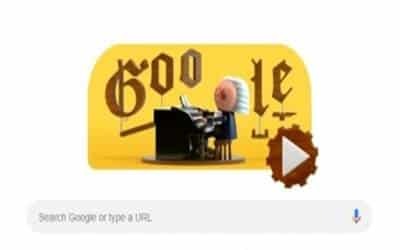 Try Google’s first ever Artificial Intelligence (AI)-powered Doodle, dedicated to celebrate the birth anniversary of renowned German musician and composer Johann Sebastian Bach. With the interactive Doodle, one "can create own melody, and through the magic of ML, the Doodle will harmonise your melody in Bach’s style", Lauren Hannah-Murphy, Programme Manager at Google AI said in a statement on Friday.